You have access to specialist services with several visiting specialists and nearby specialist referral centres as well. You want the best for your pet, and we want to help you achieve that. 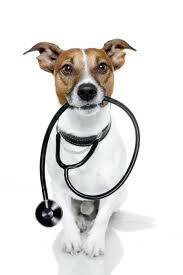 If you are after anything "vet" for your pet, we can help you out. ... and so much more, just call us or drop in and say hello and our friendly staff will be happy to help! Behind the Scenes 1 - "The surgical scrub"
Behind the Scenes 2.0 - "The surgical scrub - LIVE"
Behind the Scenes 3 - "The recovery - LIVE"
You and your pets are the reason we exist. We are a small family owned business and fiercely independent. Like you, we are locals and proud to call Moreton Bay our home. The Warner Vet is a well equipped, modern veterinary hospital, with a purpose built fit-out. Our goal is to provide high quality veterinary medical care for your pets, and we are here to give you everything you need. Whether it is a torn nail, a broken leg, or a ruptured cruciate ligament; whether a dog, a cat or a pocket-pet; all need a little help from time to time. This is also the reason we open every day of the week, and stay open late at night. You live locally, and so do we. We are proud to support our local community, sponsoring the Bray Park State High School, Genesis Christian College, Dayboro State Primary School, and the Dayboro Kindergarten, Eaton’s Hill State Primary School, Bray Park State Primary School, Mt Samson State Primary School, and the Holy Spirit Catholic School Bray Park. Our clients come from all over the Moreton Bay Shire and Brisbane, and even the Gold and Sunshine coasts. We are located in Warner, surrounded by the suburbs of Joyner, Cashmere, Bray Park Eaton’s Hill, Lawnton and Strathpine. But we don’t leave out the suburbs of Brendale, Clear Mountain, Samsonvale and Mt Samson, Kurwongbah and Whiteside, Petrie and French’s Forest, Kallangur, North Lakes and Mango Hill, Albany Creek, Murrumba Downs, and the northside of Brisbane. If your pet has a question for us, or would like to see us, you can call us on their behalf, or book in for an appointment. If you like to see the same vet every time, you can. Let us know which vet has seen your pet before and we’ll make sure they see you again. Like your doctor or dentist, we understand that once you find the right vet, you’ll want to stick with them.